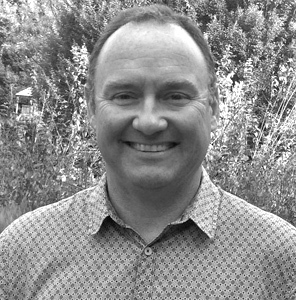 Mark is an internationally recognised thought and action leader at the interface between business and society. He is a senior partner in The Foresight Group, an international advisory practice that supports large companies to implement and leverage major ambitions relevant to our times. Prior to joining ForeSight, he spent five years as CEO of the Globally Responsible Leadership Initiative (GRLI). He has previously combined a successful career in international business with a commitment to contribute to societal transformation. A former executive head of investor relations at the South African multi – industrial company Barloworld Limited he has strong global networks and a deep understanding of how to transform organisations and the dilemmas and challenges confronting the world today. Joshua is a partner in Transformation Strategies, a consultancy that applies the principles of living systems and creativity to facilitate strategic change in the community, private and public sectors. Through his work with the Network of Wellbeing, Joshua is committed to promoting personal, societal and environmental wellbeing. He previously worked in urban regeneration and pioneered an innovative stakeholder visioning process to integrate community value with commercial viability in the design brief of major developments. Until recently he was a co-convenor of the UK Civil Society Forum. Joshua is a change-catalyst focused on empowering people through creative projects that serve the greater good – in business, education and the arts. Melanie has a deep commitment to the integration of spiritual and ethical values in business and governance. She is an Integrated Health Counsellor, secretary of the Calyx Trust and founder of the Oasis Project and Building Bridges Retreats. She facilitates Leadership Training for service and stewardship for sustainable futures for people, place and planet. She is director of the Elysia Healing Centre, which she is developing as a social enterprise in different locations in the UK. Melanie is a wellbeing entrepreneur and innovator of health promotion projects based on the concept of Salutogenesis. She has a Masters Degree in Integrative Therapeutic Counselling and is the co-founder and director of the Elysia Therapeutic Centre LLP.